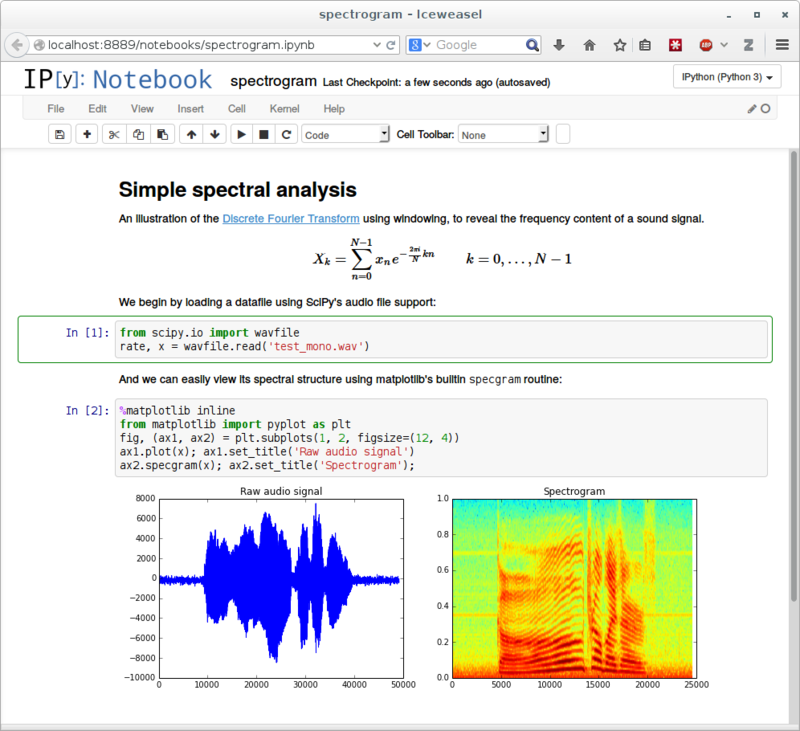 My roommate, Monica, introduced me to Jupyter Notebooks last year. And since then, I’ve been addicted to them for any Python coding I do, so much that I’m considering recreating this entire blog in Jupyter instead of WordPress. iOS 7 – The biggest change to iOS since the iPhone… Truly !! I’ve always been a firm advocate of the jailbreaking your iPhone. I think till date, in the 5 years that I’ve used the iPhone, while I’ve liked the changes in each OS release, I’ve always asked family and friends to wait till the jailbreak releases to update their phones. So why am I sitting up at 3:00am updating to the iOS 7 Developer Beta ? Because it’s pure unadulterated awesomeness !! For consumers, the Mac is brilliant. The UI is clean, uncluttered, and shows just the right amount of information about files and has a nice Aqua interface. The Finder has been updated through all the releases of OSX and now includes dynamic previews of files, rapid real-time searches of data, and more. One thing missing in the Finder view though is the visibility of invisible files. Most users wouldn’t bother about this tiny details, but for developers this is essential. We like to change config files, alter application libraries or (say) change a .htaccess file you downloaded. And for that, sometimes we need to view/alter hidden files. So to make life easier for myself (and others like me out there), here’s a tiny automator that toggles the visibility of invisible files. Steve Jobs raised the bar when it came to keynote presentations. They were simply astonishing. A Steve Jobs presentation doesn’t just deliver information, it educates, motivates and entertains. We mostly remember “Stevenotes” for iconic product introductions and One More Things moments, but they were also filled with humour. If you get as excited as I do watching a Stevenote, and if you love looking at things in a whole new light, whether its a look at Pipeline Processes, or a look at a device that far surpasses the rest of the masses, this is something you will enjoy. The site’s creator told MacRumors that he wanted to get them online in time for Steve Jobs’ birthday on February 24. I’m a long time Apple enthusiast and throughout the years have gathered every single Steve Jobs video I could find … To commemorate Steve Jobs birthday (Feb. 24th) I decided to put all these videos online and make them easily available for all. I believe it’s the most complete archive available. Anyway, Happy Birthday Steve !! Know that the world has lost just a little bit of magic without you. In the past couple of weeks, I’d been looking up Enterprise and iOS related topics. In general, how to identify registered enterprise devices ? How do you publish applications ? (which is part of my job profile right now) ? How to code for an enterprise application (yes its different from a normal consumer application). Turns out one tiny hassel in Sencha Touch 2 is that the segmented buttons look terrible. Here’s how you add an image to your segmented button, customizing it to your website/app.